Our take on ten of the world’s best towns for getting on (and occasionally off) the trail. CITING ACCESS TO LOCAL TRAILS, excellent amentities catering to hikers, and great places to celebrate a good day of hiking, BestHike recently announced their picks for the Top 10 Hiking Towns Worldwide. Not factored into the selections are cost, duration of hiking season, accessibility, and degrees of difficulty. With both the Fitz Roy and Materhorn listed on the World’s Most Dangerous Climbs, taking on any of these challenges commands the respect of a seasoned hiker and a great deal of preparation and planning. Here we’ve added some additional information regarding these top 10 hiking destinations selected by BestHike. 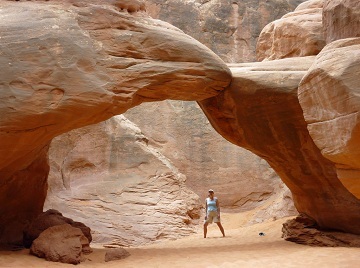 Moab, also in the top 15 adventure towns worldwide, offers easy access to both Arches and Canyonlands National Parks. Unless you plan to hike overnight, permits are not required. Arches National Park includes many easy to moderate hikes that take in some of Moab’s most prominent symbols, such as Delicate Arch. Take a hike on Syncline Loop in Cayonlands for a more strenous hiking experience. Be prepared to have plenty of water as dehydration is the most common ailment in this dry, arid town. For safety and comfort purposes, it’s recommended to avoid hiking during the months of June to August as temperatures in the desert average 104 degrees Fahrenheit. After mountain biking there in August a few years ago, I can attest to the need for more water than you think and afternoon siestas to avoid the hottest parts of the day. Located at the base of the Matterhorn, you have to work extremely hard to take a bad picture in this tourist town. The town even banned combustion engine cars, with few exceptions, to preserve the air quality. With easy access to the Monte Rosa and Matterhorn, the town is known for mountaineering, mountain biking, and skiing. It is also one of the most expensive places in the Alps for accommodations. Camping is a cost-effective way to enjoy the scenery without forking over too many francs. Whether trekking the glaciers in Los Glaciares National Park or hiking Fitz Roy, this tourist town in the Patagonia region of Argentina is near some of the most beautiful sites in South America. It’s also a more economical option to Chilean destinations like Puerto Natales. Also note that the trailheads are not quite out the backdoor of El Calafate, but may be several hours away by bus. Planning is essential to ensure optimal conditions for hiking and preparation. Perhaps one of the more challenging but not impossible destinations on the list, El Calafate’s ground transportation system is in high demand during the peak tourist seasons. Purchasing bus tickets in advance may help avoid travel delays. Grindelwald was on the shortlist for a recent ski trip I made. Although I finally selected Arosa, Grindelwald made the list for its list of year-round activities, and partially for the fact that it was responsible for inspiring the name of JK Rowling’s character Gellert Gridelwald. Most commonly known for the start of the Eiger and the Wetterhorn climbs, Grindelwald is also accessible via train and has reasonable accommodations, though some might consider it a little too touristy. Banff, with one of the shorter hiking seasons on the list, is one of the richest National Parks in Canada. Since the town’s growth is strictly limited, its surrounding vistas are also protected, including Mount Rundle, Sulphur Mountain, Mount Norquay, and Cascade Mountain. 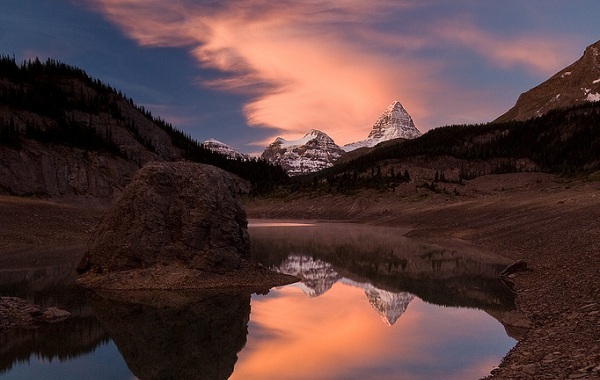 As a UNESCO World Heritage Site and extremely popular tourist destination, travel to Banff National Park is quite simple via car, bus, and van connections from the Calgary airport. For an enjoyable all-day hike, the Lake Agnes Teahouse trail peaks with a tea house overlooking Lake Agnes in the Canadian Rockies. More athletic hikers can manage the Stanley Glacier trail in a half-day. Located an hour by car from Geneva, Chamonix is also accessible via train and bus. As an epicenter of hiking trails, Chamonix has a number of trekking options, and is also the starting point for the Walker’s Haute Route, which includes some 400 alpine peaks en route to Zermatt. Easily accessible from the Venice airport, Cortina is a place where novice hikers can enjoy great views around town without ever stepping foot on a trail. For the more daring, several multi-day hikes are available, guided or not. Hikes in the Cortina Dolomites include views of unusual limestone spires and other odd formations. During the peak season, the trails can be quite busy, especially since being named a UNESCO World Heritage Site. The only selection from Nepal, Namche Bazaar, was likely chosen for its location near Everest, as well as reasonable accommodations and hospitality. One of the several great trekking choices in the Himalayas, Namche Bazaar is part of the Everest circuit and includes many difficult if not outright treacherous climbs. At a staggering 3100m, anyone venturing to Huaraz should be wary of altitude sickness. Climbing to Huaraz pays off magestic views, available while hiking the Cordillera Blanca and biking the Cordillera Negra. Although more populous than other towns on this list, arrival in Huaraz should be by bus, as the nearest airport is Cusco. Matadorians did explore some secret spots in Huaraz. This last town has been on my dream list for many years. One arguable candidate for adventure capital of the world, Queenstown has reasonable accommodations for hikers and access to some of the Great Walks of New Zealand. What are your picks for the world’s top hiking towns? Tell us in the comments. Some of these trails will take you near the world’s most recognizable mountain peaks. Banff and Lake Louise might be the most gorgeous places to ski on the planet. Here’s proof.